These are so delicious and simple and make such a satisfying meal with some salads. The tahini dressing takes them to another level, it’s one I make all the time but it’s especially good on these. 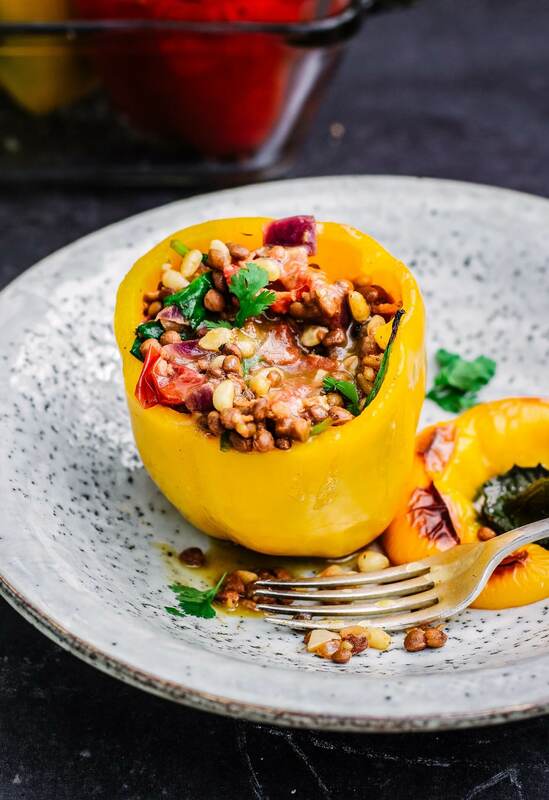 Any leftovers are really yum cold the next day, have them as they are or you can chop up the peppers and add loads fresh herbs for a gorgeous lentil salad. Preheat the oven to 200’C. Add the olive oil to a large pan on medium heat. Add in the onions and cook for about 3minutes until starting to soften. Add in the minced garlic, paprika and oregano and mix it all well. Then add in the cherry tomatoes. Toss it all together well and let it cook, stirring often until the onions are soft and the tomatoes have burst, don’t let them crisp. Add in the spinach and tinned or cooked lentils and then pour over the lemon juice. Stir and let it cook until the spinach has wilted. Take it off the heat and mix in the pine nuts. Cut the tops off the peppers and arrange them upright in a roasting tray. Drizzle them with a little olive oil and season with salt and pepper. 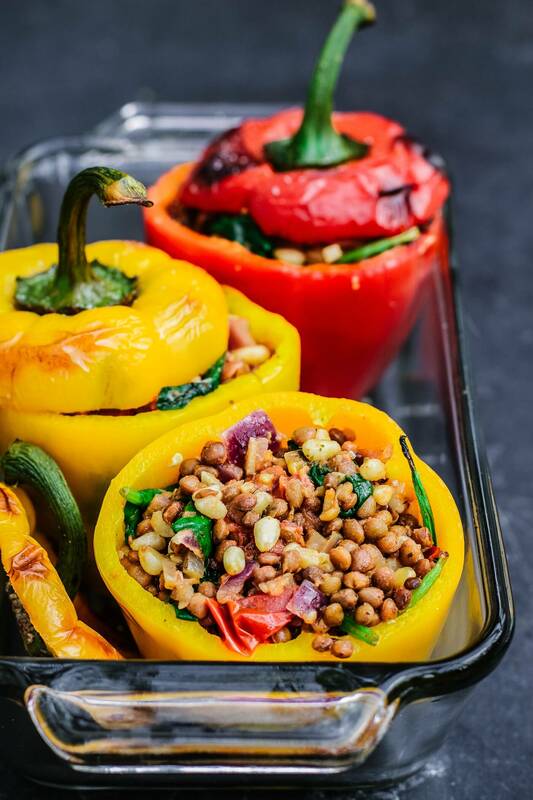 Fill them with the lentil filling, pop the tops back on them like lids and put them in the oven to roast for about 30 minutes. Whisk together all of the dressing ingredients and serve it drizzled over the peppers.